Business Cheques Archives - Print and Cheques Now Inc. Huge Savings on Business Cheques and Personal Cheques and other printing needs. Cheque Vs Check: The Key Differences Between the Two Explained! A lot of people are confused about the use of the terms “check” and “cheque”, and we are going to discuss the difference between them. We will also be looking into features, types, and what the future holds for them. If you were looking for information about the differences between check and cheque, you have come to the right place. The one thing you must note before we continue is that they are both the same thing, and hold the same meaning, with the only difference being the way they are spelled. What is a Check or Cheque? 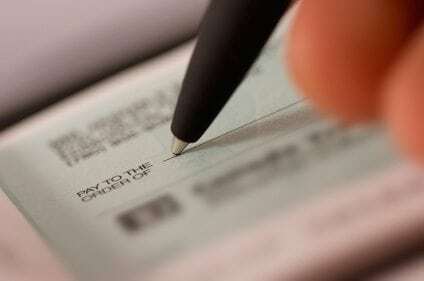 A cheque or check is commonly used as a negotiable instrument. People with current or savings bank accounts, can use a check/cheque in their name or in other’s name to direct the bank on paying a specified amount to the person named in the check/cheque. That means that the cheque/check is essentially a bill of exchange, with the only difference being that the bank will always be the drawee in the check/cheque. The Negotiable Instruments Act of 1881 defines a check/cheque as a bill of exchange drawn on a specified banker and isn’t expressed to be payable, except on demand. Must Be in Writing: The cheque/check should be written by hand, typed, or printed. When filling out the check/cheque, a pencil should never be used. All signatures should be done with an ink pen or a ballpoint pen, so it can’t be removed or erased. Must Be Unconditional: The payment amount must be unconditional, and if there are conditions imposed to pay the amount to the holder of the check/cheque, then it can’t be considered a check/cheque. Any check/cheque that is made payable on a contingent event taking place is void ab-initio. Must Be Drawn on a Specified Banker: Any valid cheque/check must be drawn on a specified banker. If there is no mention about the banker in the check/cheque, then it isn’t a valid check/cheque. Apart from that, it should contain information about all three parties i.e. the payee, drawee, and drawer. Certain Sum of Money: The most important requirement of a check/cheque is that it must only be paid in money. If no terms of money are there, then it isn’t a valid check/cheque. This is because the payable amount must be mentioned. Certain Payee: All parties of the check/cheque must be certain, and it should be clearly mentioned on it. It should also include an unconditional order to be a valid check/cheque. Date: All valid checks/cheques must be dated and signed by the drawer, and written in hand by ballpoint or ink pen, typed, or even printed, as it is conclusive proof, i.e. presumption under Section 118(b) unless proved otherwise. The fiercely independent American ideology has had an unintended consequence. One of them is the way Americans and British people tend to spell things differently in the English language. These divergent spellings aren’t as common as they used to be, but there are still a lot of words that mean the same thing but are spelled differently in the English language. 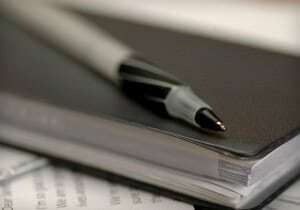 This can cause second language learners and novice writers whose first language isn’t English. Check and cheque mean the same thing but are spelled differently in American and British English. Check used to be the older spelling and is still used with greater frequency in all contexts to this day. However, in the early 19th century, British English writers started using the spelling cheque for financial contexts. Even though you may know the spelling differences between words in British and American English, it can still be confusing when it comes to using these words in common language. This is because a lot of people won’t recognize check to be the same as cheque, which is all down to their schooling. If you’re one of the people who can’t decide when and where to use the different spellings, then you don’t need to worry as we are going to explain that as well. The United States government branches have several checks and balances to protect against abuse of authority. When Franco moved his bishop to a new square, he put Adrian’s King in check. You should always check your work before submitting your test. The voting results managed to check the slow rise of the S&P 500. Writers in the United States may use the word ‘check’ in all circumstances. Cheque isn’t commonly used in American English and is even considered a spelling error in some instances. It is only used in financial contexts and only rarely, to not cause any confusion. The janitor who won the £10 million lottery was back at school a couple of days after he got his massive cheque. The spelling check is still used in British English for phrases like, check against, in check, check-in, and fact check. If you’re a writer in Australia or the U.K. you will use the spelling “cheque” for financial contexts, and the spelling “check” for other contexts. Still feeling confused about the difference between check and cheque? Don’t worry! We have an easy trick to remember the difference for times when you can’t decide when to use cheque or check. In American English, cheque isn’t normally spelled with a ‘qu’, as it is considered strange. There is nothing wrong with sounding strange, but when writing academically or professionally, it is best to use the common spelling. There are various kinds and types of back checks/cheque, which can confuse someone who isn’t familiar with them. The common question most people have is why are there so many different types of back checks/cheque? This is mainly because the regular check/cheque doesn’t fit all situations. Some types of bank checks/cheque were only created to address certain needs, while others were created because the regular check couldn’t be used, or to ensure the beneficiary receives the funds. To clear all confusion, we are going to highlight all the different types of bank checks/cheque, which is an exhaustive list, but covers all the most common types of bank checks/cheque used all over the world. Bearer Cheque: The bearer cheque is a check/cheque used to withdraw cash by the cheque owner. They are commonly used for a cash transaction. 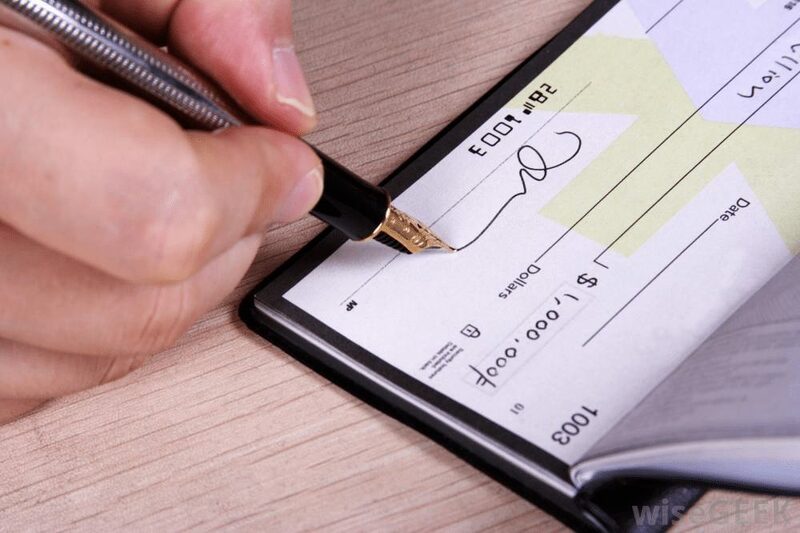 Order Cheque: The order check/cheque are withdrawn for the payee, and before it is withdrawn, the bank is going to cross check the identity of the payee. Account Payee Cheque: The account payee cheque will have two parallel lines drawn, with a cross made on the cheque with the word ‘Account Payee’ written between the parallel lines. The payment from the account payee cheque takes place on the company, firm or person, on whose name the cheque was issued. 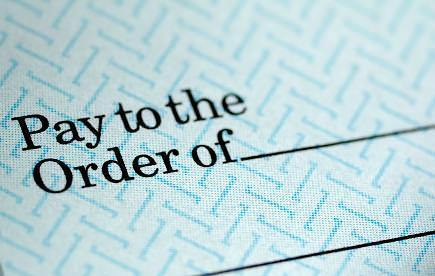 Stale Cheque: The stale cheque is issued by the holder but hasn’t been withdrawn from the bank for three months. When that happens, the cheque becomes a stale cheque. Anti-Dated Cheque: The anti-data cheque is one that is issued for a nearby withdrawn date but has been withdrawn before the printed data on the cheque. Post-Dated Cheque: The post-dated cheque is issued by the holder to a payee for an upcoming withdrawn date. Company-Crossed Cheque: The company-crossed cheque is one that has two parallel lines drawn along with a cross made on the cheque. The payee can’t withdraw cash from the bank by using the cheque, as there is a cross made by the company on the cheque. 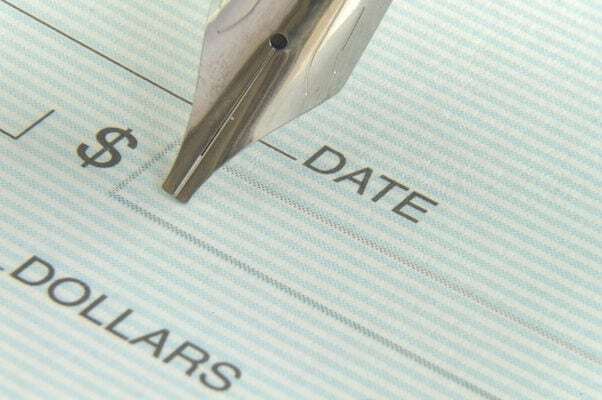 Crossed Cheque: The crossed cheque is a cheque that has two parallel lines drawn at the top of the cheque. This type of cheque isn’t used for making payments in cash but is shown to the bank to transfer payment directly to the account of the payee. Technology has made a massive change in the lives of people all over the world. It has had a massive impact on the banking sector as well. This has resulted in a change in the checks/cheque we use today for personal and business transactions. Nowadays, you can find checks that are processed as digital images, and it is expected that by 2019, all checks are going to be digitally processed. 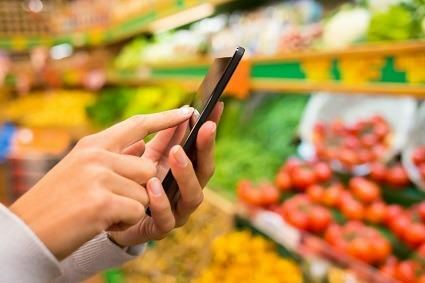 This not only adds greater convenience but also more security, since you can easily pay via a cheque whenever you want using your smartphone. The Image Clearing System, was introduced by the Cheque and Credit Clearing Company in the UK. 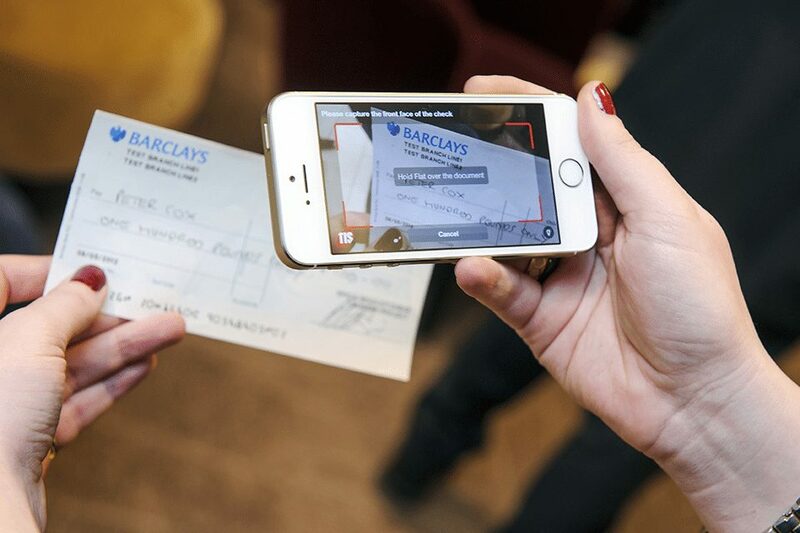 This new technology is designed to help banks and building societies to easily process checks as digital images, which will allow checks to clear faster. With so much technology on hand, it can be safely agreed that the future of checks/cheque is safe, and they are here to stay for a long time. To summarize the main differences between check and cheque, we are going to explain it in simple terms once more. The word “check” has a lot of different meanings, and one of them is an order to a bank for transferring funds to another entity. It shares the same meaning with the British spelling of the word “cheque”. The word “cheque” is also used solely in financial contexts in British English while “check” is used for other contexts. Check is the preferred spelling in American English for all contexts. Cheque is the preferred British English spelling for financial contexts. There you have it. We hope to have resolved the matter regarding the main differences between check vs cheque. Starting a business can be an exciting, yet risky endeavour — one that involves making many decisions. Near the top of that list is the use of cheques in your day-to-day operation. Today’s businesses have a full range of financial options at their fingertips. And while electronic transfers and debit and credit payments have become more prevalent, cheques are how many companies manage their finances. Aside from providing a record of expenditures, they’re one of the best ways to ensure there is a paper trail. Cheques have come a long way in the 21st century, but some of the features have remained the same. 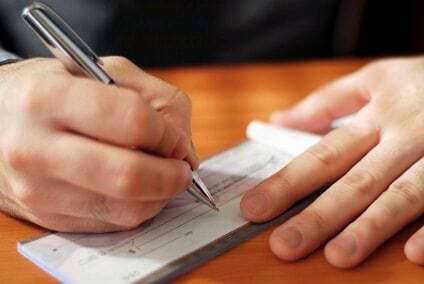 For example, all cheques still require a signature and are made of good old fashioned paper. However, today’s cheques able offer much more. Here are 6 things to look for when purchasing cheques for your business. Purchasing cheques has never been easier, given the numerous options available to consumers. From small businesses issuing large quantities of cheques on a daily basis to personal cheque writers who only pull out their cheque books for birthdays, there is something for everyone. Customers can choose to personalize their transactions with custom cheques that offer a selection of colours, layouts and designs. Those who prefer to keep things simple can opt for the standard variety, and decide between one or two cheques printed per page. And people looking to use technology to their advantage can turn to laser-cheque printing to increase productivity and utilize modern software features. With the popularity and convenience of debit and credit cards, very few of us carry cold-hard cash in our wallets anymore. However, with bank fees that can cost you a pretty penny and interest that has been known to cause crippling debt to even the savviest saver, there’s another payment option that is highly underrated – the cheque book. As much as it’s probably hard to admit, most of us are hooked on our digital devices. Whether it’s relentlessly checking our Smart Phone, playing online games, being social on social media or texting, there’s no doubt about it that we’re part of a ‘plugged in’ society. Words like apps, poke and tweet may not have existed a decade ago – today, they are common terms used in everyday conversation. While it’s great to be connected and have a access to an unlimited wealth of information at our finger tips, it can also keep us tuned out from experiencing real life. By tuning into technology 24/7, we’re inadvertently tuning out our ability to live in the present. In fact, a recent study by the Public Library of Science found that the more time an individual spends on Facebook, the more dissatisfied they are with their own life. Also, Harvard Medical School scientists have discovered that using a cell phone or laptop before bed can negative affect our ability to have a good night’s sleep. It’s never been a better time to be out with the old and in with the new. When it comes to issuing cheque– whether you manage day-to-day finances at home or have a business that issues numerous cheques a day – there is no longer a need put pen to paper. Simplify the cheque production process with laser cheque printing, a tool that allows users to customize a cheque’s information and appearance, while cutting down on the costs and hindrances of pre-printed cheque stock. Not only is this option secure and reliable, it’s replacing yesterday’s practises with the direction of tomorrow. 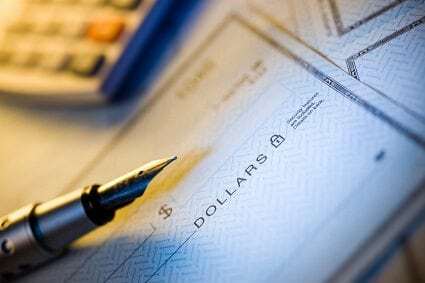 Over the centuries, paper cheques have been a mainstay method of payment. In fact, they date all the way back to the 9th century –back then, merchants relied on cheques to exchange funds, according to the Economic Review. And for much of the 20th century, they were the most widely used method of payment. From paying for groceries at the supermarket and compensating the babysitter after her shift, to gifting funds for one’s birthday, there’s no doubt about it that cheques are handy and convenient. MICR TONER – How can cheque printers, software providers and organizations that produce their own cheques confirm that their new versions meet all of the new specifications? Cheque printers, software providers and companies that print their own cheques are strongly encouraged to provide pre-production samples to their financial institution to ensure that they meet the requirements of the new standard. These organizations should contact their financial institutions for more information about the testing process and timelines. Does magnetic ink still need to be used in the MICR line on cheques? Yes, magnetic ink must be used in the MICR line, as automated processing equipment still relies on magnetic ink to read data from the MICR line. The Canadian Payments Association (CPA) has announced new specifications that all financial institution members and consumers must conform to. The CPA has changed the deadline to use cheques with the new layout standards. It has now been extended beyond the end of June 2007.